I have to say, we've been coming to Morton's for years. Since they moved out of Tyson's Corner, we have only been to the Reston location twice, the second time being last weekend. The food was wonderful as usual but the feel of the restaurant just isn't the same. The waiters in the past were refined, professional, and attentive. Our experience Saturday was anything but. Our waiter was pushy, in-your-face, loud and very abrasive (although I think he thought he was being nice). I just didn't feel special like I used to. It's disappointing as Morton's used to be one of our favorite restaurants. Had a great time and delicious dinner to celebrate a birthday. The staff was great and took a complimentary birthday picture which was given along with a birthday menu. Our waitress was excellent and service was great. 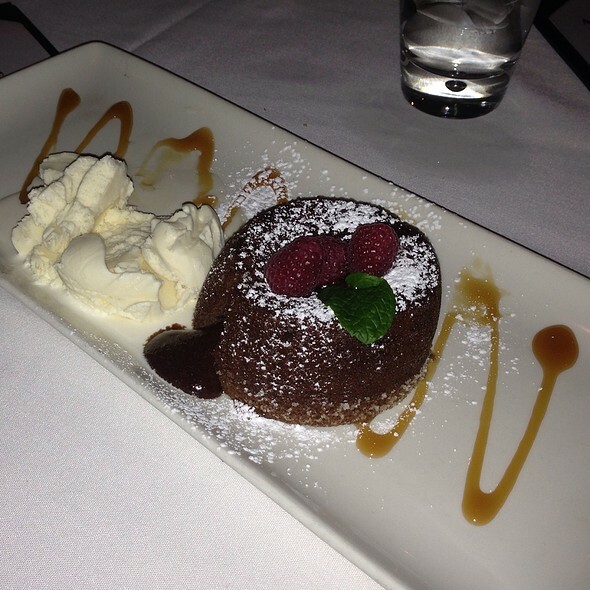 Glad that they kept the soufflé on the menu!!! Keep up the classy service! The place was just a bit too dark - but overall awesome!!! The staff was excellent. Very attentive to our needs. We got a nice quiet table as requested and they went out of their way to help us celebrate our 30th anniversary. Kudos to the staff for making the dinner very enjoyable and memorable. The food was very good. A bit disappointed in the chocolate souffle for dessert, but the steaks were excellent, as were the mushrooms, fries and salad. The waiter made an excellent suggestion on my glass of red wine ( a Cabernet, I forgot the name). For the cost, I did not rate it as a great value just because of the price point. But hey, one has a thirtieth anniversary only once in a lifetime, so it was worth it! Our waiter, Eddie, made the night special with his great service and positive attitude. Nice evening out to celebrate. Morton's already has brand recognition so there is no need for extra talk about how amazing the food is. The Reston location had an extremely friendly staff and the parking options were great. Expecting a 5-star experience, we got a 2-star one. I had put in the reservation request, please select a romantic table for my girlfriend and I, 3-4 days before our date. Instead, we got a table right by the door, by the wines, in which various waitstaff would use, continuously, to go back and forth to the host stand. They told us it was because they were booked solid. Secondly, our waiter was very nice, but not knowledgable. My girlfriend wanted a white, which I was not familiar with. 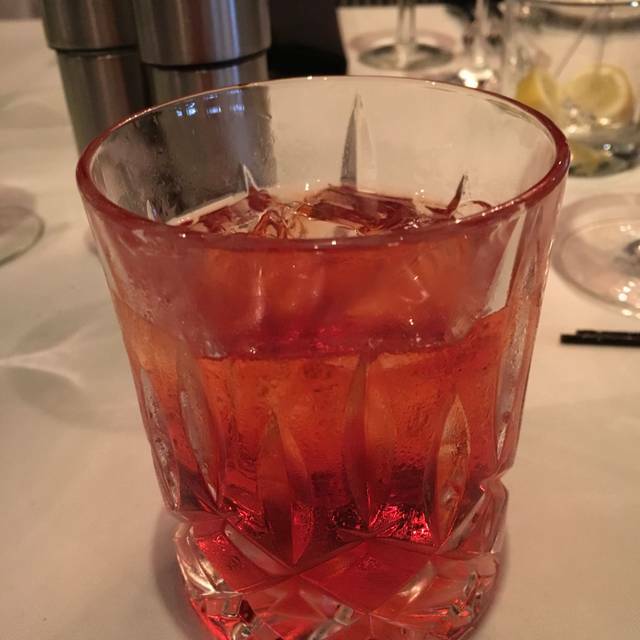 I asked the waiter for a suggestion, and all he could repeatedly say was "All I know are Bourbons." I ordered a Gewürztraminer, remembering that it was mildly sweet. The waiter had no idea and could make no suggestions. When the wine came, we tasted it, but it was NOT a good fit for the meal. Part of why you go to a restaurant like that is to get good advice on what to choose to make your meal superior. I refused the Gewürztraminer, and he looked shocked. He had to "check with a manager." It was very embarrassing for my girlfriend, who almost felt pressured to accept the wine she did not like. That's WHY you do the tasting! To decide if the wine is worthy of the meal. They finally came back with a sub-par Muscato (because I had mentioned sweet... but what she really wanted was a Sauvignon Blanc, for the buttery feel), which we felt obliged to accept. The meal was mediocre, certainly not worth the price. No complaints, just not spectacular. The constant distraction from the table position was terrible. If Morton's wants to charge as much as they do, they need to deliver the level of service one would expect for the price. Honestly, for half the price, I've found places like Coopers Hawk to be twice the value and quality. We were looking forward to a spectacular meal, but instead got a mediocre one. I would not recommend Morton's. I would not recommend eating in the dining room. This was a celebration dinner and expectations were high for a great meal. Unfortunately, service was very disappointing. Salads and sides were forgotten and brought out as we were well into our entrees. It did change the mood of the night and moved the focus from the celebration to the poor service. We rarely eat in the dining room as we prefer the bar where the service is always great. However, we had a larger group and the dining room was appropriate for this event. There is really no excuse for this level of service especially given the overall cost of the dinner. Absolutely fabulous!!! Went for my birthday and they treated me like a Queen. 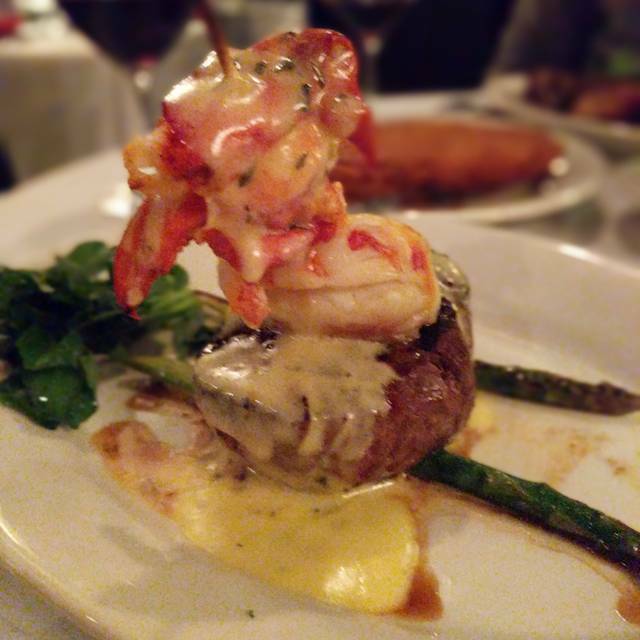 Dined for dinner for 2 3/21/19 Landry's Select Club offer. I HIGHLY recommend joining Landry's Select Club. LSC was offering 2/$110 which is a fantastic deal considering each of our entrees alone was $48 and $36 respectively. Deal included a choice of wine. Picked Pinot Noir - lighter bodied red wine, slightly sweeter, not as dry and heavy. Perfect. Server was friendly and stopped by our table 4 times which is the perfect amount, attentive but not annoying. Mortons Reston is no longer "The Steakhouse". The traditional Mortons is gone and nothing memorable replaced it. Underwhelming experience , overpriced, outdated facility. Eddie Merlot at One Loudoun is far superior. Sadly dissappointed Mortons has lost its identity. The service is very good. The food is very good. The atmosphere is very good. The management is outstanding. There is an assistant manager named Meron who is just a delight. You need to be the scheduler of your own food. Don't order an entree until you are nearly finished with your salad/soup or appetizers. I was shocked that the entree came out on the heels of the salads. superb service and an atmosphere for a productive business lunch. Delicious food and a great atmosphere. Great place for date night. My French 75 was perfect. The steak was cooked perfectly. Eddie our server was especially helpful and fun. We would go back. Everyone was very professional and friendly. Diego was awesome! Food was good but not worth the price. Side dishes def. could have better. Service was excellent. Noise level is much too high. Seafood appetizer was disappointing for the price. Side dishes were a waste of money: Brussels sprouts were hard and cool in the center. Garlic mashed potatoes were lumpy and cold. It had been several years since I had been to Morton's. Two things surprised me: folk were so casually dressed and it it was noisy. What wasn't a surprise: the food was generously portioned and well prepared. The wine was tasty. And, the service was impeccable. Food was good. Service was ok- server was very personable but a little slow and we had to ask for bread and left over sides were omitted in our doggie bags. Birthday dessert was a nice touch as was Birthday menu!! This Morton’s restaurant has slipped in quality of service. Prices are high in comparison but the ambiance is excellent. It was my husband’s birthday. We enjoyed the meal and ambience. Thank you. The service was slow and non-professional. Not the same Morton's I am used to. I got a message of no show. We did attend. I have copy of receipt if our dinner there. Great food and great service. 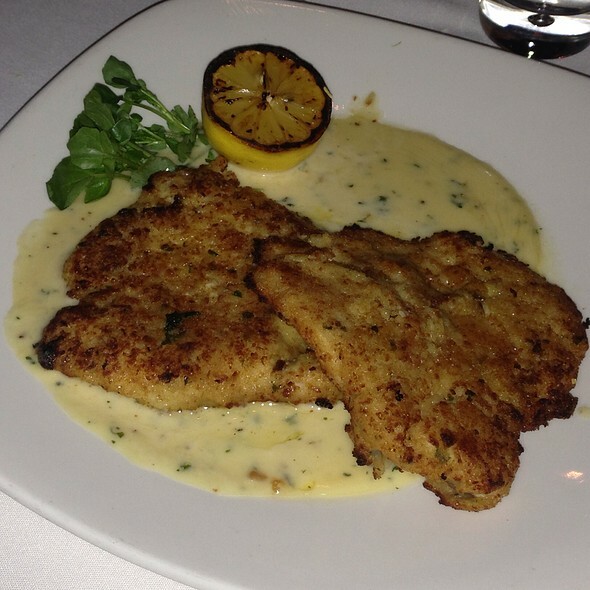 Morton’s always delivers. Have the tomato bisque and dunk your onion roll. Crab cake BLT was exactly what I expected. See you soon. 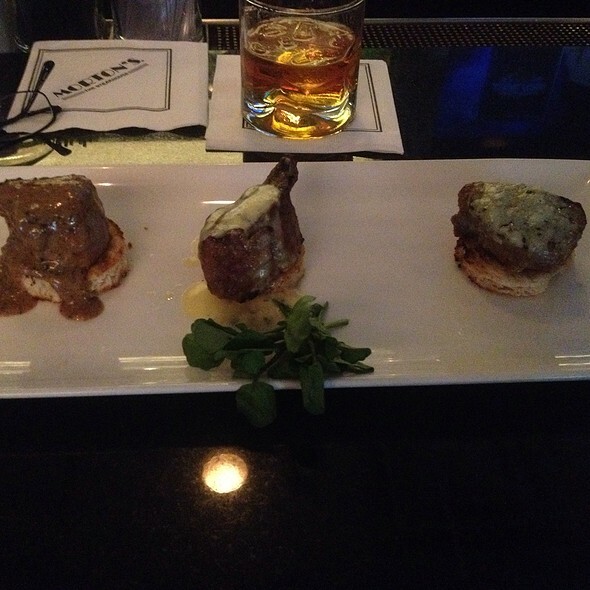 Morton’s provides inexplicable ambiance and professionalism, coupled with outstanding food and friendly service. My only complaints about my experience was that my server had a extremely thick accent that proved hard to navigate, so it ultimately impacted my overall experience. My dad is an immigrant himself, so I am used to a thick accent, but unfortunately I just couldn’t get past the accent of my server. Additionally, I felt the drink service wasn’t worth 5 stars. I ordered a perfectly prepared Manhattan at the same time my fiancé ordered a glass of wine, and her wine came out about 15-20 minutes after my drink came. The server said that the bartender had “disappeared”, whatever that meant. My food was absolutely outstanding, however, I split a baked potato with my fiancé, and I was not warned that it was scoulding hot by my server. Obviously, a potato is going to be hot, but I literally singed my esophagus and am still experiencing pain days later. I think it would be worth it to say “these potatoes are very hot, you may get burned if you eat them right away”. 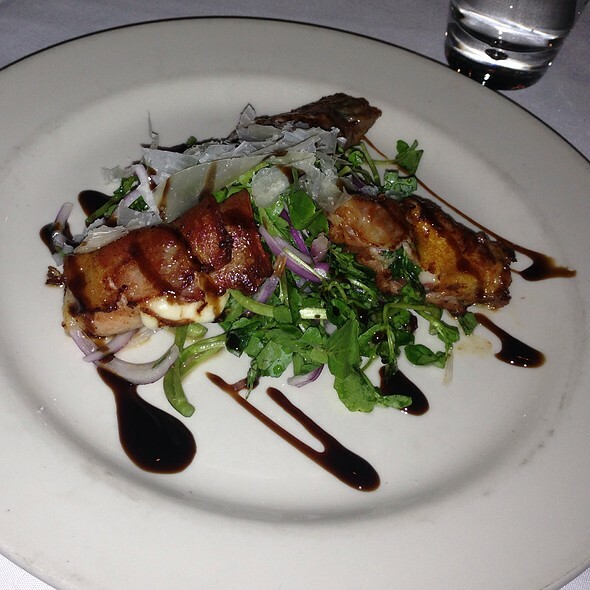 Overall, Morton’s was great, but not without its reservations. Amazing experience by being greeted with “Happy Anniversary” and followed by the waiter, then getting a picture from the restaurant. What a great surprise for my wife to have everyone mentioning our anniversary. Overall from service to food was a great experience. Morton’s has not disappointed me for many years. Always fantastic! 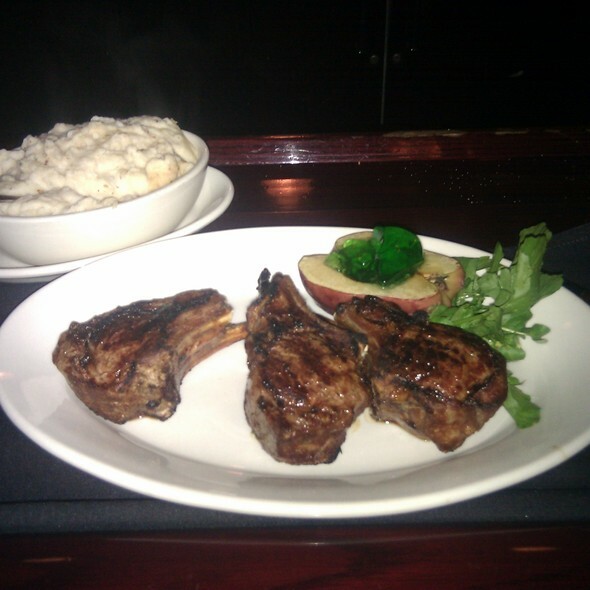 Our steaks were perfect and our service was wonderful! Waited 15 min for sever. Two salads were WAY overdressed and my steak was over cooked. This is my family’s favorite go to place. I hope this is not a sign of things to come. Great evening celebrating my daughters birthday. Food was amazing and service was on point. Can’t wait to go back! 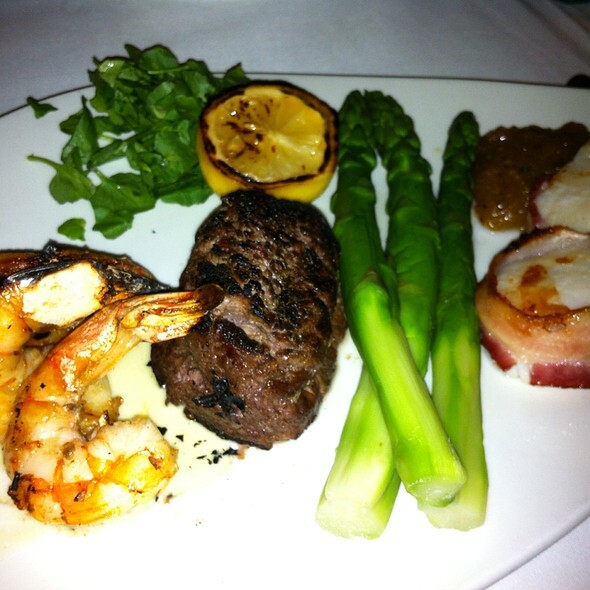 It was lovely for our anniversary to go to Morton’s. We had a nice evening. We enjoyed our dinner and the food was great. I felt like the tables were too close together and the place was loud. It was not an intimate dinner with our group of 6. It is one big open room and not a lot of ambiance. Everything we ate was fantastic and the service was terrific. I just didn’t like the atmosphere. The food was okay, but not great/memorable for the price. The service was impeccable. Given the other options for seafood and steak in the area I would not come back. Dinner was amazing, as usual. We go to Morton's for Valentine's every year. This time we decided to try a few new items & were pleasantly surprised with how great the were. The escargot had puff pastry on top, & were piping hot & loaded with garlic. The prosciutto-wrapped mozzarella were delicious. Our steaks were cooked perfectly. I look forward to our next dinner there.